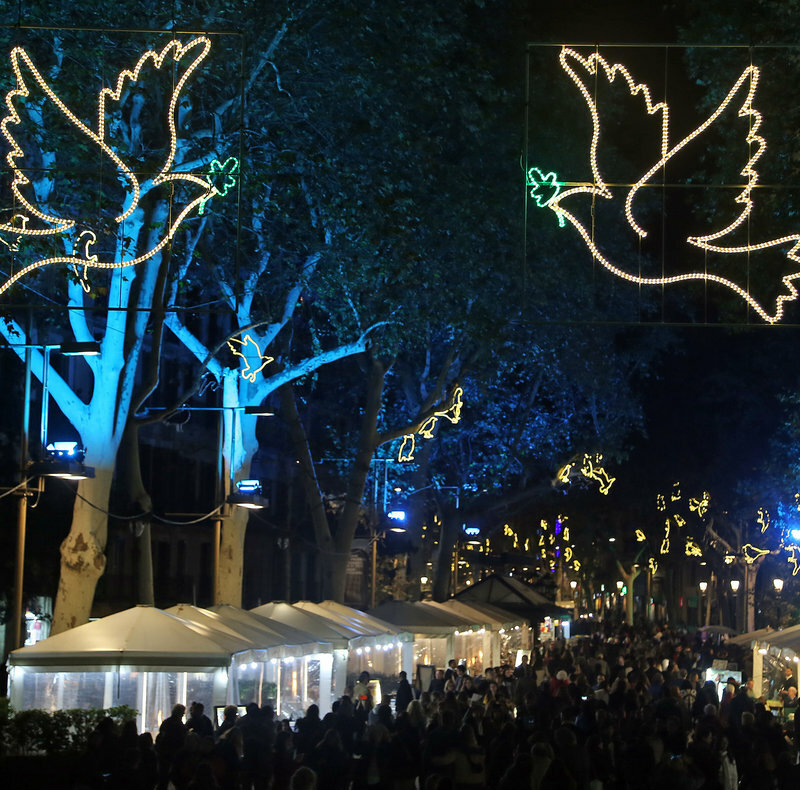 Christmas lights in Barcelona. J.M. RAMOS. December is different for everyone. Some people begin lamenting the lights going on in the towns three weeks before the 25th. Yet, others rejoice. So much today is divided, whether it is politics, referendums, or slaying matches in the English House of Commons. Here in Catalonia, it’s a case of one step forward, two steps back. Isn’t Christmas about Jesus, about love for every man and woman? Where is He in the arguments about presents? Some children have far too many, while some unfortunates have nothing at all. And this only applies to Christians. Are Christians in reality merely people celebrating the chance to enliven the everyday routine? Here, I have to put my cards on the table. This starts with the enjoyment of writing Christmas cards, sending them off in early December, and anticipating the remembrance and pleasure of family and friends receiving them. Emails for Christmas - I’ll leave that for the birds! Then, there’s choosing presents, thinking about each person carefully. Socks, scarves, and gloves are out, unless one sees a real need for them. Then the Day itself. Always invite anyone who might lack family, who might be lonely. Ignore the central heating and instead light a fire, with wood crackling and blazing - what joy! Christmas food: Christmas mince-pies, pudding, sparklers, crackers... Dear friends, you have guessed it. I LOVE CHRISTMAS!